Do not change your Virtual MAC unless instructed by the provider to do so! Changing this without permission from provider will get your Portal access BLOCKED! Warning: changing Virtual MAC will make your TV appear like NEW TV to the Provider. They must know the NEW Virtual MAC so they can activate it. We can not change Virtual MAC with Custom one, it can be only system generated. This is due to security reasons! 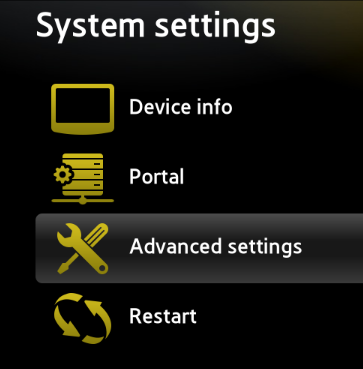 Start the app and press the OK/Enter key on the remote to Enter Portal selection.